the airport! The friendliest airport and easiest to use, by far. 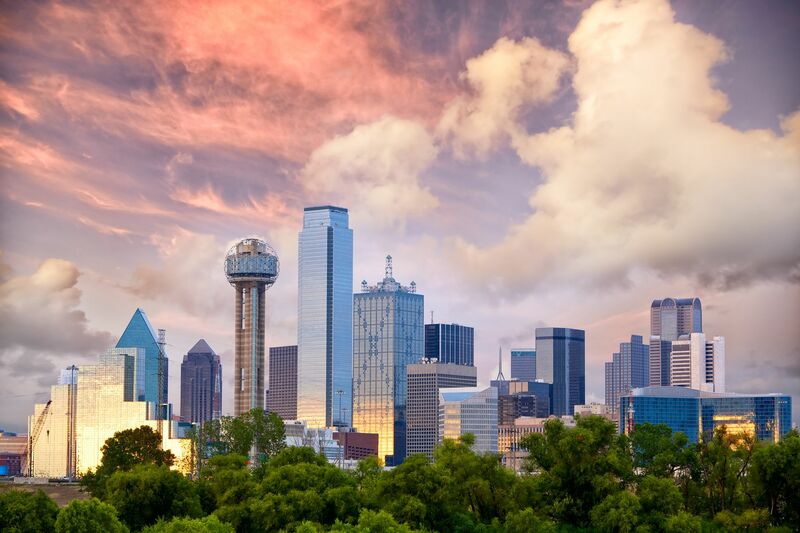 I've traveled extensively and absolutely love Dallas and the people. Public transportation is awesome here, I NEVER have to rent a car. Tons of good restaurants and breweries. Deep Ellum is a must! Awesome place to visit and explore some amazing food venues not to mention craft beer! It's hard for me to give an accurate portrayal of this city, because when I visited it was Memorial Day and it seemed the entire city had shut down. There are a ton of places to see, theoretically, but apparently not on a national holiday. :) However, it's a lively place that still manages to maintain a pretty down-to-earth vibe (in most neighborhoods), and they loooove their BBQ. Dallas is one of my least favorite places to visit. It's not that it's dirty or dangerous. It's that it doesn't have a home feeling. It isn't cohesive, and the different styles and commercial sites disrupt the flow of the different neighborhoods. I prefer a place that is homely even though it is a large city. Despite the disconnected feeling, it is a great place to go out and part or spend a few hundred dollars in one night easily on food or entertainment. I do recommend going to Oklahoma if you get the chance. They have a casino where you could win back some of your money! One would point out that getting a point-of-sale (POS) system will be a waste of time and cash. In fact, moving to some quality POS has definitely a lot of advantages. Food allergies may lead to various problems in a person. These complications should be addressed before they turn severe. These allergies usually take place mostly in a span of a few hours immediately after somebody eats a food in which initiates an allergic response. A lot of people are unaware that they're experiencing a food allergy unless they encounter allergy food symptoms. These types of allergy food symptoms are generally plenty and can irritate many people. Loads to do , with every major sports represented. Food is equally abundant. Dallas is happening for all lifestyles and entertainment. Dallas is a great city for foodies and historians alike. The Arts District is the largest in the country and is so amazing! Dallas is a big city but it doesn't feel cosmopolitan nor does it feel alive. Maybe because the city is so big and everything is so sprawled out?